The same Jesus who walked on the water is the One you talk to in your prayers. This Jesus who healed the sick is the same One who has compassion on you when you’re sick and wants to heal you, too. This Jesus who died on the cross for you and me is the same Jesus who was resurrected from the dead. Take time to read the Bible — God’s Word — and learn more about this wonderful, beautiful Jesus because as He was in the gospels (compassionate, loving, caring), so He is today with you. And the best place for us to see what Jesus is like is in God’s Word. 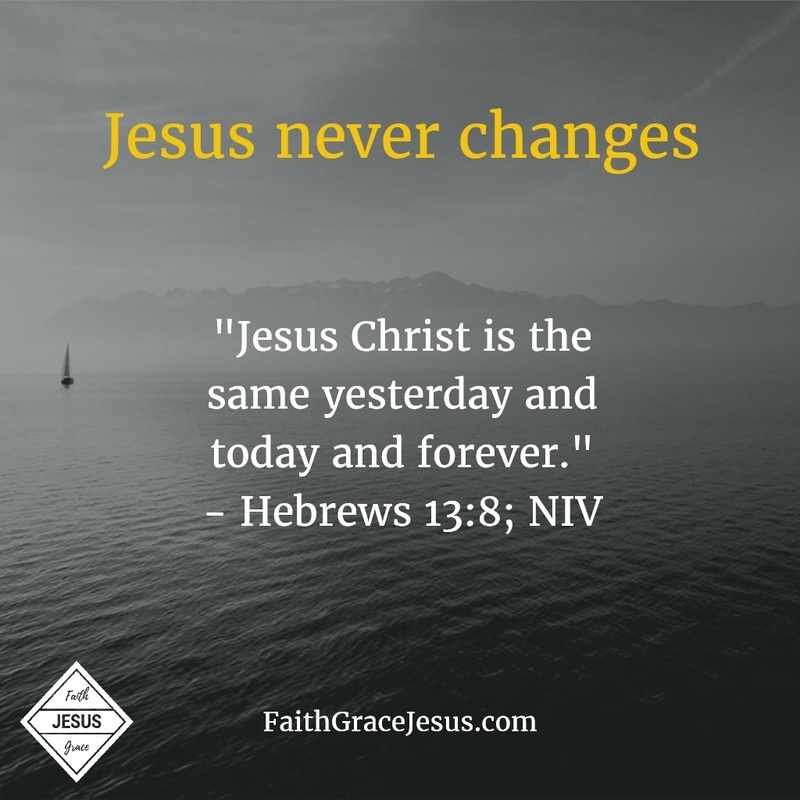 The Bible tells us all about our lovely Jesus – both in the Old and New Testament. In the Old Testament, we see foreshadowing of our Savior and what He would do for us on the cross. For example, Isaiah 53:4-5 talks all about what Jesus would do for us on the cross by carrying our sins and sicknesses on the cross. 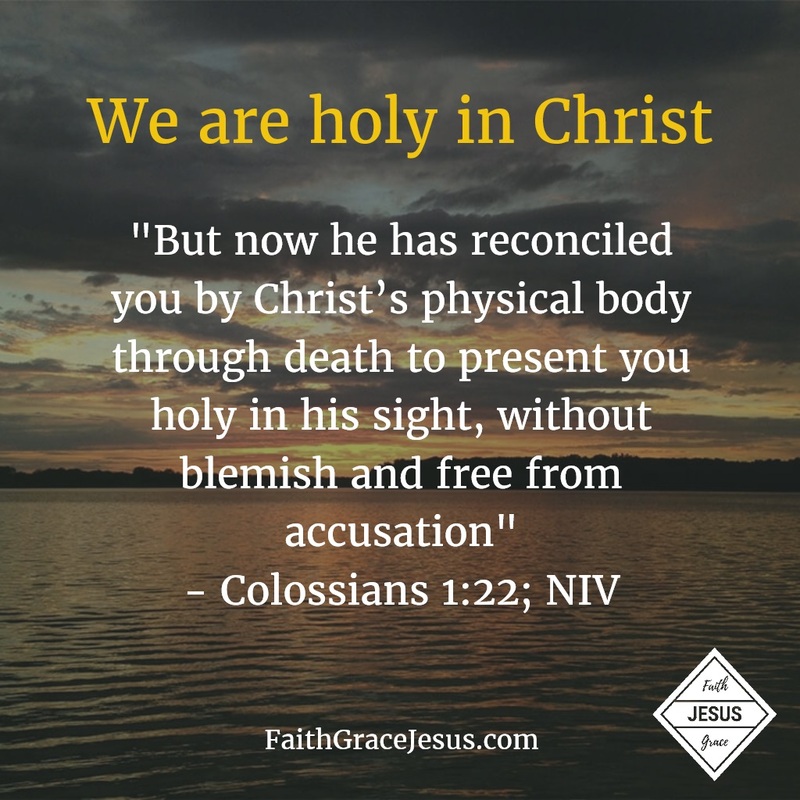 And in the writings of Paul, John, Peter and others, we can see the life we have through the finished work on the cross. 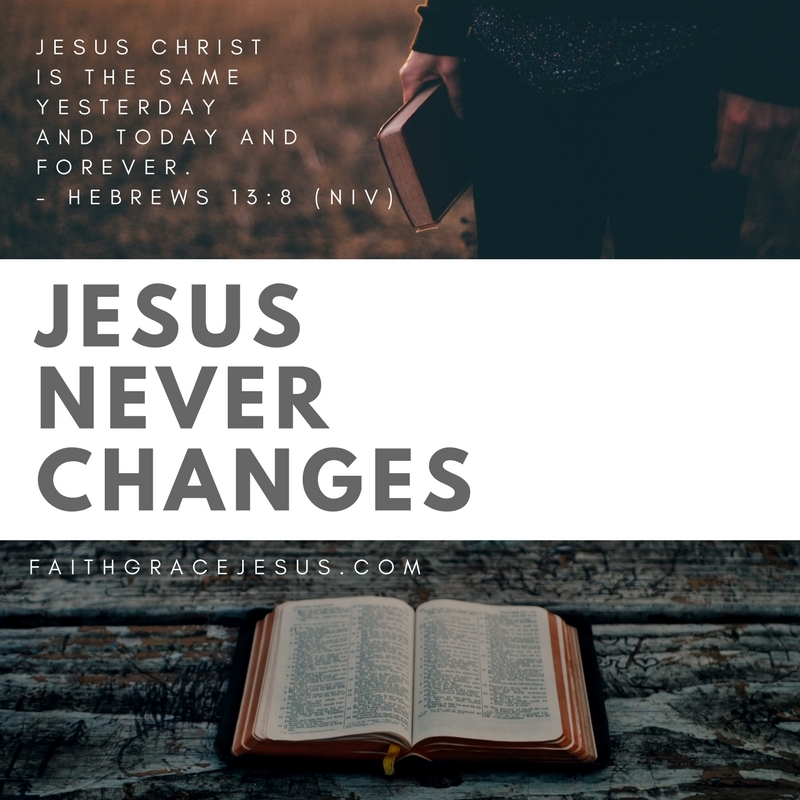 If your faith is wavering, read about Jesus in the Bible and let the Holy Spirit remind you that Jesus never changes. The Jesus who traveled long distances to help a single person, is more than willing to meet you at your point of need and help you. Believe it.